A partial solar eclipse will be taking place on January 6, 2019. The celestial phenomenon will start at 5 AM Indian Standard Time (IST) and will last till 9:18 AM. However, the eclipse will not be visible in India. It will be visible in parts of Northeast Asia and North Pacific. It will also be visible in parts of Eastern Asia, including Siberia, Mongolia, Northeast China, Japan and Korea. It can also be viewed from North Pacific Ocean and Southwest Alaska. A partial solar eclipse is when the Moon covers only a certain part of the Sun. The phenomenon makes the Sun appear as a disk. A solar eclipse is a celestial phenomenon which takes place when the Sun, Moon and Earth are aligned in a straight line. Traditionally, eclipses are considered to be inauspicious as the Sun is not clearly visible during a solar eclipse and could lead to an increase in bacteria and germs. But modern science refuses all the myths and superstitions around the solar eclipse. 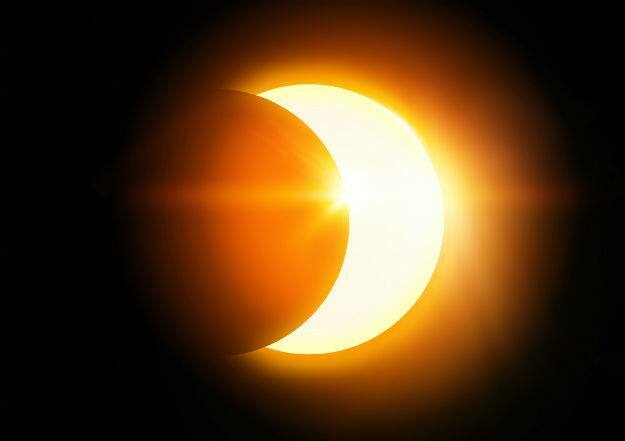 ♦ The Greeks believed that solar eclipse was a sign of angry gods and could be a sign of natural disaster. ♦ According to Inuit folklore, Sun goddess Malina walks way after a fight with Moon god Annigan and when Annigan catches up with his sister, it causes a solar eclipse. ♦ In Native American mythology, they believe that a bear who fought with the Sun and took a bit of it gets into a conflict. After they resolved their conflict, the bear went to meet the Moon and bit it as well, causing the eclipse. ♦ Norse cultures believe wolves devour the Sun, while ancient Chinese believe a dragon swallowed it, causing the eclipse. According to experts, homemade glasses or normal sunglasses are not safe to watch the partial eclipse. The Sun transmits too much of sunlight which can adversely affect the retina and cause damage to eyes. According to NASA, seeing solar eclipse through naked eyes can damage the eyes so it is always advised to use special eclipse glasses to witness the solar eclipse. 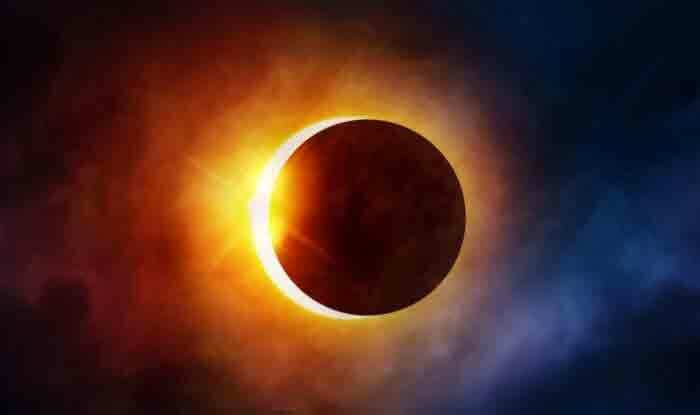 It is also suggested that solar eclipse should be witnessed through binoculars, telescope or optical camera viewfinder. Scientists also suggest that the safe way to witness the partial solar eclipse is to watch it through special purpose solar filters or hand-held solar viewers. How is partial solar eclipse different from total solar eclipse? During the total solar eclipse, the Moon moves between the Sun and the Earth which results in blocking the Sun’s rays and cast shadow on parts of the Earth and blocks the Sun completely. On the other hand, during a partial solar eclipse, the Sun, Moon and Earth are not completely lined and the Moon only covers the portion of the Sun and when viewed by from Earth, Sun appears as a disk.